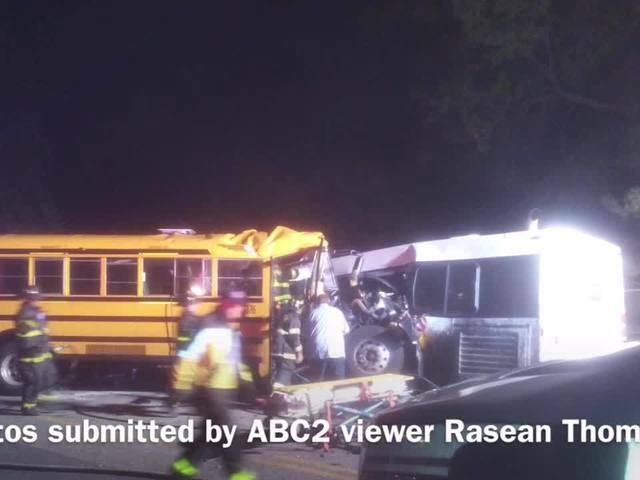 Six people have been confirmed dead after a crash involving a commuter bus and a school bus occurred in Baltimore on Tuesday morning. Police said no children were aboard the school bus. Three people were taken to University of Maryland Medical Center and two were transported to Shock Trauma, according to University of Maryland Medical Center spokesperson Michael Schwartzberg. Four people are listed in fair condition. One person is in critical condition. UPDATE: There were no children on the school bus, however, there are six fatalities. We will brief soon.